In two months, Americans will cast votes for a president, 34 senators, 435 members of Congress, 12 governors, 5,920 state legislators, and in countless local races. If the presidential race is at the top of most voters’ minds, the state and local races can also have a direct impact on “kitchen-table” issues affecting families. For rural America, the stakes are high. An annual snapshot prepared by U.S. Department of Agriculture’s Economic Research Service says “rural employment in mid-2015 was still 3.2 percent below its pre-recession peak in 2007.” The same report found that rural America continues to experience population decline driven by outmigration of residents to larger urban areas. The trends underlying much of this outmigration—issues such as globalization, technology advances, and the shift from a manufacturing-based economy to a service and knowledge-based economy—are largely beyond the control of any community, state, or even country. But even if the challenges facing rural America are global, the prevailing sentiment among rural residents and academic researchers is that the solutions must be largely homegrown. In other words, if rural America is to enjoy a prosperous future, it will be thanks to the ingenuity, self-reliance, and determination of its people. The rural electrification movement is a prime ex- ample. America’s electric cooperatives are always on the lookout for new ways to support and promote the interests of the communities they serve—and also alert to developments that could hobble the ability of those communities to grow and prosper. Regular readers will recall an article in the July edition of Wisconsin Energy Cooperative News that in part described co-ops striving to be engines for economic development. Separate from and yet crucial to cooperative efforts to help build local economies is another program, a new one that’s especially relevant today, called the Co- ops Vote Initiative. 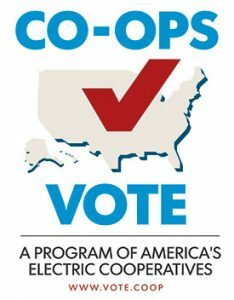 A non-partisan program of the National Rural Electric Cooperative Association (NRECA), Co-ops Vote is designed to promote civic engagement and voter participation in communities served by electric cooperatives. 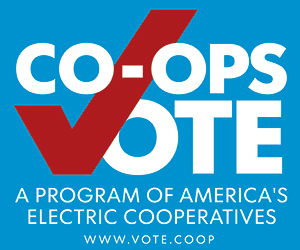 Co-op members can visit the website at vote.coop to gather information on the voter registration process in their state, dates of elections, information on the candidates running in those elections, and explanations of key issues affecting rural America. Visitors to the website can also take a pledge to be a co-op voter. This pledge doesn’t commit anyone to vote for a particular candidate or party; what it does do is send a message to candidates at all levels of government that electric cooperative members will be showing up at the polls in great numbers, and are paying close attention to issues that affect the quality of life in their communities. Nationwide polling by organizations across the political spectrum confirms that elite institutions are failing to inspire voter confidence, and the uneasy feeling spanning a remarkably diverse and high percentage of the electorate includes many who will participate actively in the Co-ops Vote Initiative. An inclination to withhold trust from remote, elite institutions doesn’t necessarily suggest automatic rejection of findings from researchers at the Harvard Business School’s Institute for Strategy & Competitiveness. Many rural communities face similar challenges driven by similar factors, but the best way to address those issues can vary widely from community to community. It’s in this sense that one of the greatest advantages enjoyed by electric cooper- atives comes into play, through their ability to leverage the unique strengths of the communities they serve. The members of each cooperative are empowered to explore differ- ent approaches to solving problems and figure out what solutions are best for their community. This applies to the energy sources they use to generate electricity, the technologies they use to operate the system, and the policies and procedures they adopt. What works for co-op members in one state might not make as much sense for co-op members in another. Thus, electric co-ops (which as noted in the July article referenced earlier, disproportionately serve consumers and communities with lower-than-average household incomes) must be especial- ly wary of one-size-fits-all regulatory initiatives that hinder their ability to use the most advantageous methods of providing affordable energy for their consumer-owners. That’s why keeping energy afford- able is among the highest priorities for Co-ops Vote. In the early decades of the 20th century, access to electricity was a key factor differentiating the quality of life and economic vigor of urban and rural areas. In the early decades of the 21st century, with access to electricity virtually universal in the United States, its affordability is the key factor. Many business enterprises spend more for energy usage than for any other expense except paying the personnel. It thus logically follows that any factor raising the cost of energy exerts downward pressure on business activity, downward pressure on job creation, and on opportunities to better compensate workers currently employed. The question for consumers—or for energy providers asking on the consumers’ behalf—is whether a factor that increases energy costs is unavoidable or a voluntary public policy choice, and if the latter, whether the anticipated results seem worth the expense of lost opportunities. In this century, that question applies in rural and urban communities equally. Maintaining and—we all hope—improving Americans’ quality of life will depend in no small measure on protecting the ability of cooperatives to continue delivering energy and related services to rural communities as free as possible from unnecessary, low-return expenses imposed from afar. November 8 will bring Americans’ collective decision as to which leaders we trust with crucial choices. It’s to be hoped that in office, they’ll respect the aspirations of communities—in the best electric co-op tradition—helping them- selves to grow and prosper. Before election day, study the issues that are crucial to you and your community. Examine every candidate and decide which ones offer the best chance they’ll approach crucial issues from a perspective you agree makes sense for your community. And then join millions of fellow elec- tric cooperative members at the polls. —Justin LaBerge writes on consumer and cooperative affairs for the National Rural Electric Cooperative Association, the Arlington, Va.-based service arm of the nation’s 900-plus consumer-owned, not-for-profit electric cooperatives. 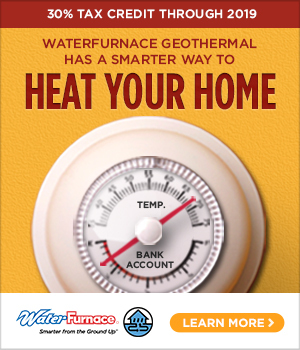 The Wisconsin Electric Cooperative Associa- tion’s Dave Hoopman contributed to this article.